Nintendo has announced two new Labo sets, this time embracing the world of virtual reality. The VR Kits for Nintendo Switch will be available on 12 April and cost $79.99 and $39.99 respectively (we’re still waiting for UK prices). 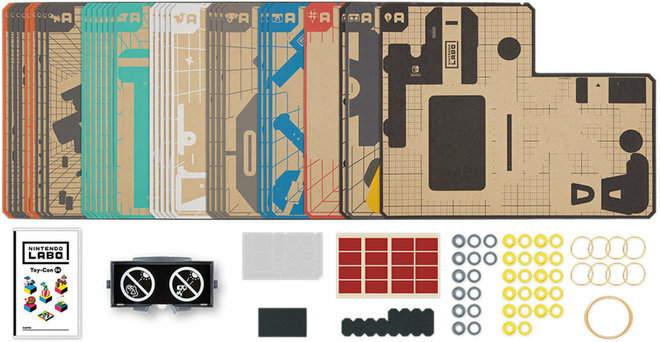 A Nintendo Labo: VR Kit contains cardboard pieces and software to build six Toy-Con projects: Toy-Con VR Goggles, a Toy-Con Blaster, Toy-Con Camera, Toy-Con Bird, Toy-Con Wind-Pedal (?) and a Toy-Con Elephant. That’s the more expensive of the two. The second kit is a starter set, stripped down to include the Goggles and Blaster. 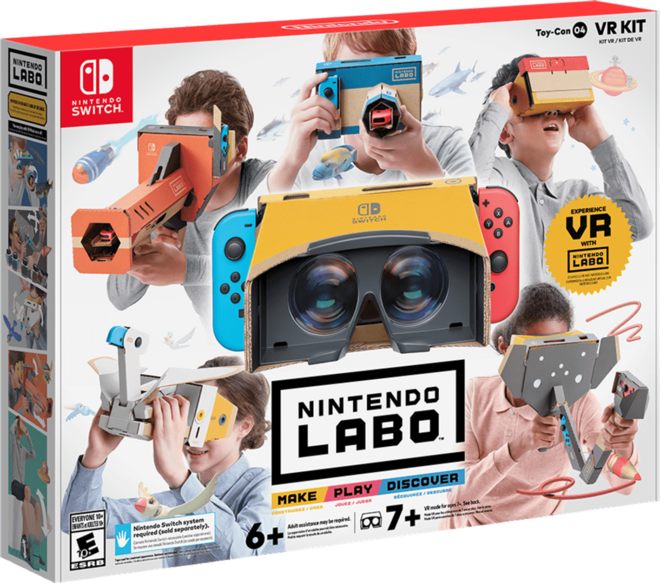 Like other basic VR headsets used for phones, such as Google Cardboard, players simply slip the Nintendo Switch console into the Toy-Con VR Goggles and hold it up to their eyes. There are also expansion sets for those who initially opt for the least expensive option but want to introduce other elements down the line. Nintendo Labo is the company’s family-friendly game experience, offering fairly complex accessories out of templated cardboard that can then be used to control games. They can be built by kids young and old and come in many different shapes and sizes. Sets already available include a robot suit that you can wear, fishing rods, battle bugs and a range of vehicle controllers. The new kits represent the first time Switch owners have been introduced to virtual reality. They might also open up further opportunities from other studios in the future, possibly indie developers. “We wanted to design an experience that encourages both virtual and real-world interactions among players through passing around Toy-Con creations,” explained incoming Nintendo of America president, Doug Bowser (yes, he really is called Bowser).